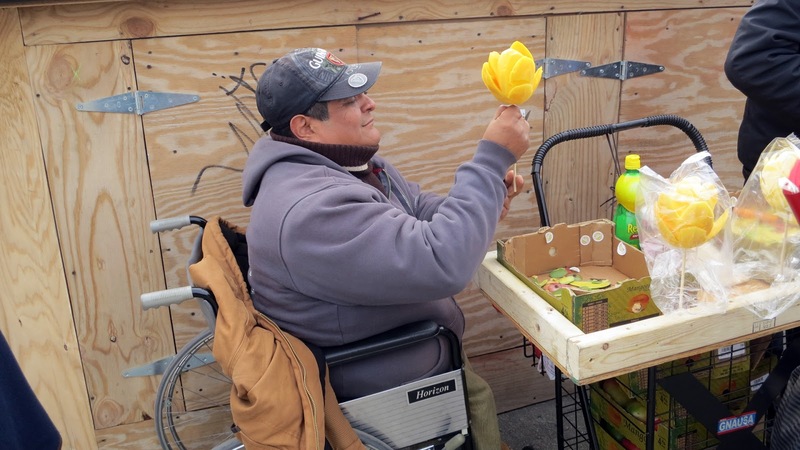 Manuel chills on the Brooklyn Bridge cutting up flower shaped mango lollipops (only $5!). He also loves to drink Guinness and lemon juice. Nothing says the Brooklyn Bridge like a mango on a stick. His mango art has improved over the years. They used to just look like ovals. Hopefully, he'll make animals soon. Then hats. try it with a bit of hot sauce.